San Francisco Search Engine Marketing Agency - Matrix SEO Group can help you scale and deliver a comprehensive Internet Marketing program. We are often asked the difference between SEO and SEM or Search Engine Marketing. 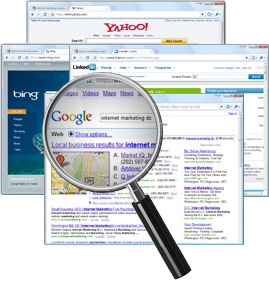 Search Engine Marketing generally refers to paid online promotional efforts like display advertising, affiliate programs, direct response email efforts and Pay-Per-Click (PPC) Management Please feel free to contact us and learn more about how we can help and provide FREE analysis of your unique situation.